For anyone who works with InforCRM SNC, the loose definition of the “boolean” is familiar. 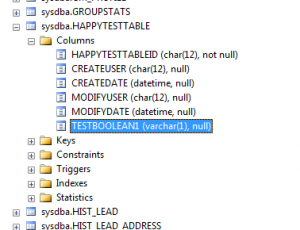 Basically, InforCRM treats “Booleans” as single character strings, rather than a bit datatype in SQL, allowing “T” and “F” values, as well as null. The SNC environment cannot handle bit values, however the Web environment can. This causes a problem if you use a SNC bundle (.sxb) to install bit fields to another system. 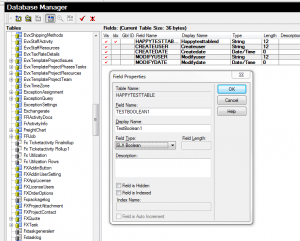 The database manager will create those values as char(1) rather than their original datatypes, causing potential errors and display issues for that data. We can now see the field as a string with a length of 1. With this change, all is right with the world. This entity property can be used properly for checkboxes as a “Boolean” value without error. But… Here’s where the problem comes in. 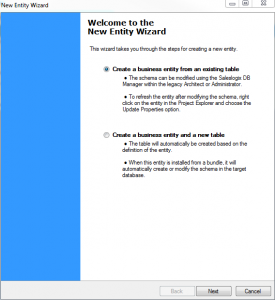 You have a couple options here: Either you can create an entity from an existing table, or you can create a new table. 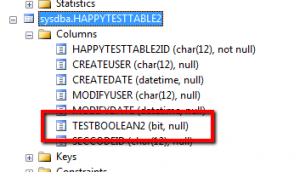 Let’s create a new table called HappyTestTable2 and put in a boolean field. 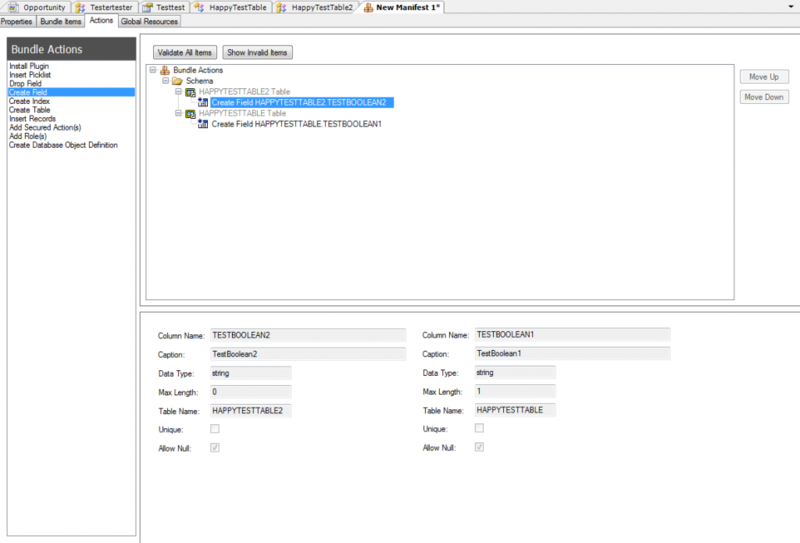 From the wizard, after defining the table name, you will get to the point where you can add fields. The Options for datatypes do include the True/False and Yes/No options, but what if you actually select boolean? With the field created like this, it CAN be used in checkboxes in the web environment, however it will store 1 and 0 values rather than T and F.
Using state of the art screen capture technology, I’ve displayed the properties of both fields side-by-side. As you can see, the datatype in both cases is string. 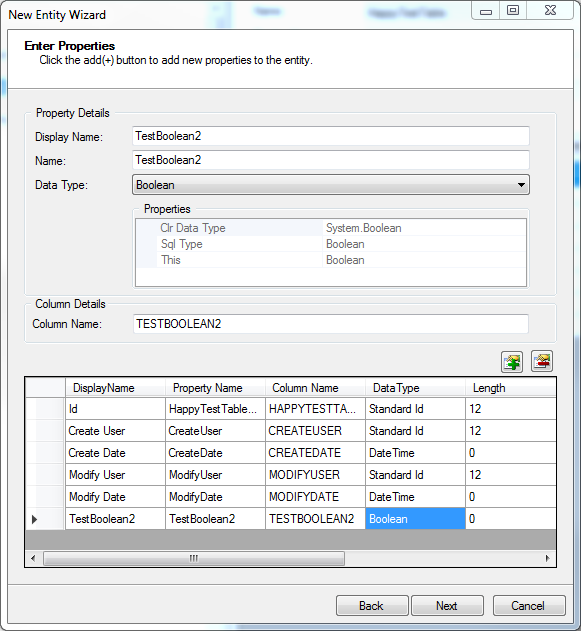 If you were to install this bundle on another system, it would create both fields as char(1), however; if the Entity Property for TestBoolean2 is included in the bundle as well, the entity property will have a “boolean” data type, causing a type mismatch error within the web client. This would be the same with SNC bundles (sxb) as well. 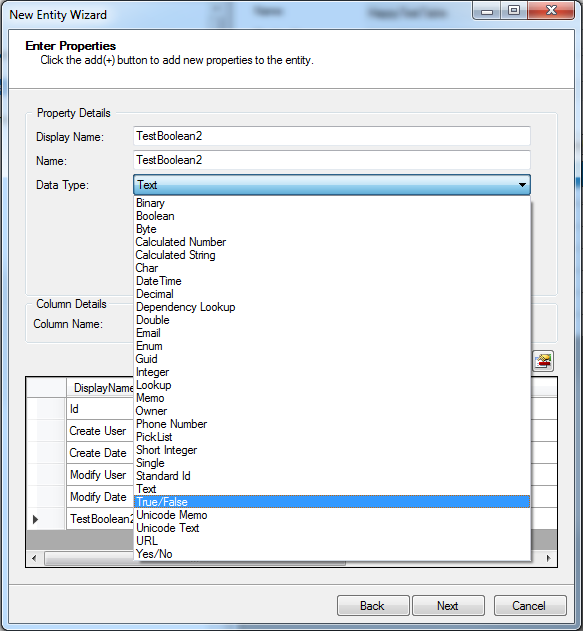 You could change the entity property type to True/False and prevent errors, but if the field already contains 0-1 data, then checkboxes mapped to these fields will not display as checked unless the field contains “T” values. The short of it kiddies, is this: Stay away from the boolean datatype in the web, if you plan on moving those changes to another system via a bundle. 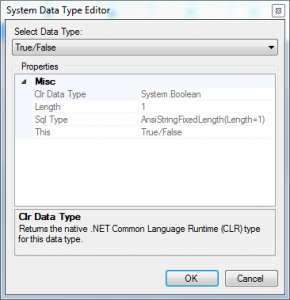 Use the True/False or Yes/No types instead… Just make sure to check your entity property types as well. I would consider this a bit of a bug, so I plan on reporting this as an issue to Infor.